John Stormzand, left, and Jim Toth, right, work an early morning double on Lake Michigan while first mate Bart removes a planer board from Toth's line. 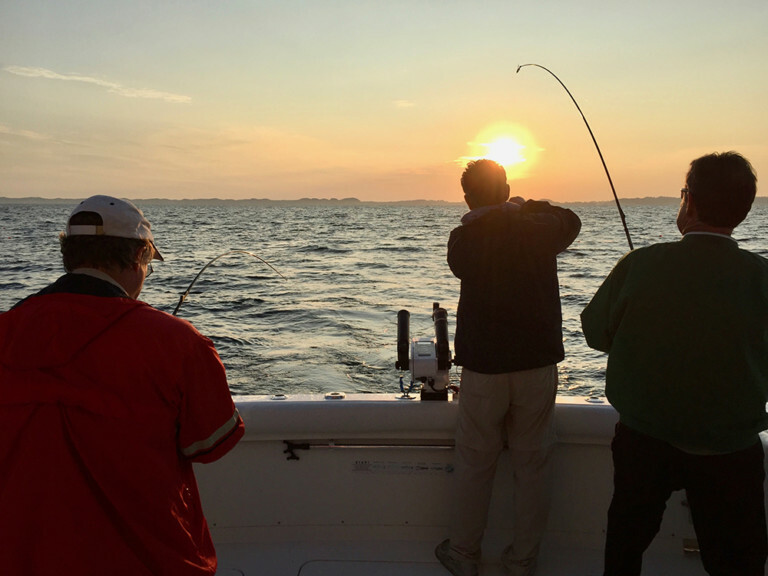 The wind was calm, the lake was flat, and the full moon was still visible in the early morning sky as we motored out of Grand Haven Harbor aboard Fish N’ Grin Charters and into Lake Michigan for a morning of salmon and trout fishing. Cap’n Denny and his first mate, Bart, had barely set the lines in the water when the first rod started bobbing. Moments later a second rod started to dance. We had a double, right off the bat. My buddies, John Stormzand and Jim Toth, quickly reeled in a naturally produced 16-pound chinook salmon and about a 3-pound coho salmon, respectively. The sun had barely breached the horizon and we had a pair in the box. 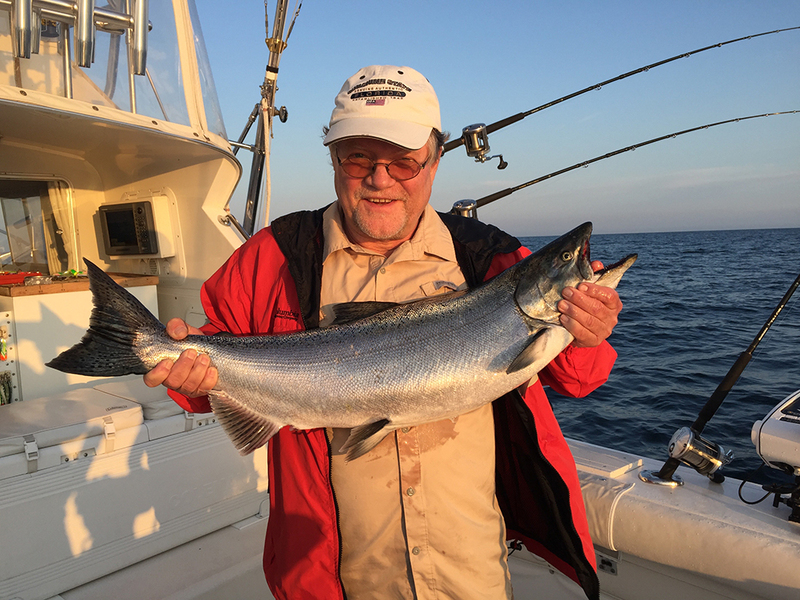 John Stormzand reeled in this dandy 17-pound Lake Michigan king salmon. Salmon fishing on Lake Michigan is not what it was in its heyday, but it’s a lot better than what some people would have you believe. 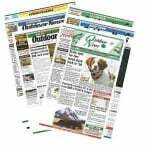 Gone are the days of limit catches of 15- to 20-pound salmon. Today, the expectations are more about a fun, quality experience on the Great Lake and to hopefully – it is still fishing – bring home a mixed bag of salmon and trout. That was evident in our first fish of the day. While we didn’t upset the balance of nature on our adventure earlier this week, we returned to the dock with a tasty mixed bag of coho, chinook salmon, lake trout and steelhead. Not a bad take for a half-day on the water. We were running spoons, dodgers and flies or Spin-N-Glos, and a couple of meat rigs in 120 to 140 feet of water. Most of our fish came 100 to 120 down, although a couple of suspended fish popped a rod running 60 to 80 feet down. We did well by covering a wide variety of depths. Salmon are moving north in Lake Michigan and arriving in increasing numbers at Grand Haven, Muskegon, Ludington, Manistee, Frankfort, Cheboygan and beyond. The action will increase until the spawning runs hit full stride and river fishing moves to center stage in September and October.